Date/Time: 13/2/11 – 2:30 p.m.
After a relatively impressive run in the Waterford Crystal Cup with a young third/fourth choice panel, Cork face into their opening league game with a much stronger and more experienced team. 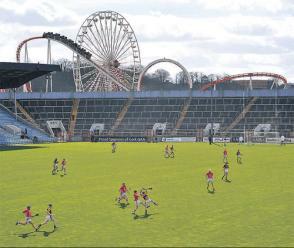 Although a home game against Offaly is far from a glamour tie, it is a prelude into facing Kilkenny in Nowlan Park, and the hope that Cork can avoid a third humilitation at the hands of 2009 All-Ireland champions in as many years. Moreover, Denis Walsh prioritised the league last year, and considering the current management is in its final year one can only presume that they will be eager to win their first truly competitive match of the year, particularly with such a stern task a fortnight away. Regarding team selection, the cliche ‘a mixed bag’ immediately come to mid. At the very least management isn’t ignoring the obvious problems running through the team with changes at center-back, midfield and the half-forward line. Moreover, it seems that they have (eventually) learnt a lesson from last year – no more one dimensional ‘big man on the square’ tactics, helped by Aisake’s exit to Australia, the inside forwards all quick skill players who should thrive on low ball into space. Finally, management has handed competitive and deserving debuts to Stephen McDonnell and Mark Ellis – one expects both to do well. McDonnell, a tough, aggressive and all-action defender was a major reason for the Glen’s suprise run to the Senior Club Championship final last year, while Ellis impressed throughout the Waterford Crystal Cup with his sheer strength and consistency, although he arguably lacks a bit of pace. Both offer a more physical and steely edge to the team – two things badly needed as evidenced by last year’s matches. Elsewhere, the personnel changes are a little less welcome. Eoin Cadogan is still being played out of position full-back, even though he looked nervous and at times even demoralised in the position last year. More worringly is the players he has looked at to play back-up full-back on the panel – Cian Fogarty (Killeagh) and David Cunningham (Glen) for example – ignoring more impressive options like Aidan Ryan (Midleton) while Eoin Dillon sits on the bench, his solitary cameo for Cork starting and struggling against Galway last year in the league final. Rather surprisingly Brian Murphy is not starting in the corner which along with the fact that Denis Walsh has started a rookie along with our third choice corner back somewhat suggests management is trying to find another definite inter-county corner-back in the panel, possibly in the hope of being able to move Shane O’Neill further out the pitch. Regardless, Brian Murphy is by far the most effective man-marker in the Cork panel, and the most likely defender to keep Shane Dooley under control. 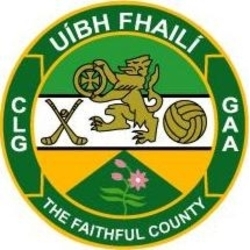 The half-back line will do fine against Offaly, but doubts surround the selection of the inconsistent and small Ray Ryan at half-back – there are younger options in William Egan and Jamie Nagle (Midleton) and more physical options like Graham Callinan (Glen) out there. Midfield at least looks balanced – Egan is a physical and defense minded player who should cover back whenever Jerry O’Connor saunders forward on a trademark run to link-up with the half-forward line. However Egan is a half-back through and through, strong in the air, better when he is forced into playing the game and often looking a little short in aggression and positioning when played midfield. The hope for Jerry O’Connor is that a long over the past few months rest will bring back some hunger and energy, but past performances in a Cork jersey suggest his best days are behind him, and maybe more importantly that his running, link-up style of game is simply antiquated and over-elaborate in today’s highly aggressive, highly physical style of play. However midfield is a problem position as evidenced by the performances of both Kenny and Naughton last year, and with little talent coming through hoping Jerry O’Connor can recapture some form is understandable. The half-forward line at the very least looks interesting -Kenny and Naughton provide speed and skill on the flanks to compliment Patrick Cronin’s physicality and ability to win ball. while all three can point. However all three need to break the ball and work harder in the air and on the ground then Cork half-forward lines over the past decade – what is more and more important is not winning clean ball in the air, but aggression and physicality to make every piece of possession the opponent wins a real fight. At the very least playing half-forward will force Cathal Naughton to deal with some of his weaknesses like man-marking and dealing with puck-outs. The inside line is a little problematic – presumebly Patrick Horgan will play full-forward, or at least switch back and forth with O’Sullivan but the fact that we have to rely on Ben O’Connor and Kieran Murphy is our two other options in the inside forwards says a lot about the serious lack of options in this line. Possibly the most interesting aspect is not who starts for Cork but in what style does who do start play. Even though its February one hopes to see glipmses of a greater strategy in how Cork go forward, particularly now with the ‘big man on the square’ option nixed. Looking at the team, with the O’Connors and Naughton in three lines, one half-expects some regression into more over-elaboration tippy-tappy hurling always like to lead to dispossession against teams like Kilkenny and Tipperary. Hopefully we will see the ball moved up the pitch and into the inside forwards with speed and purpose, rather then the hit and hope style of last year. Regarding Offaly, they have apparently lost Franks, Murphy and Oakley, and if their league form last year is anything to go by Joe Dooley will treat Sunday’s game as a training match, and focus more on peaking on and beating Wexford and Dublin to ensure survival. 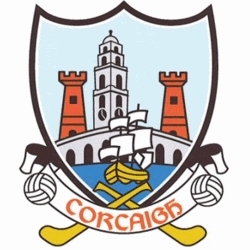 As such, reservations about team selection aside, Cork will take this by 5-6 points, but more importantly one hopes to see the beginning of structure in Cork’s play.